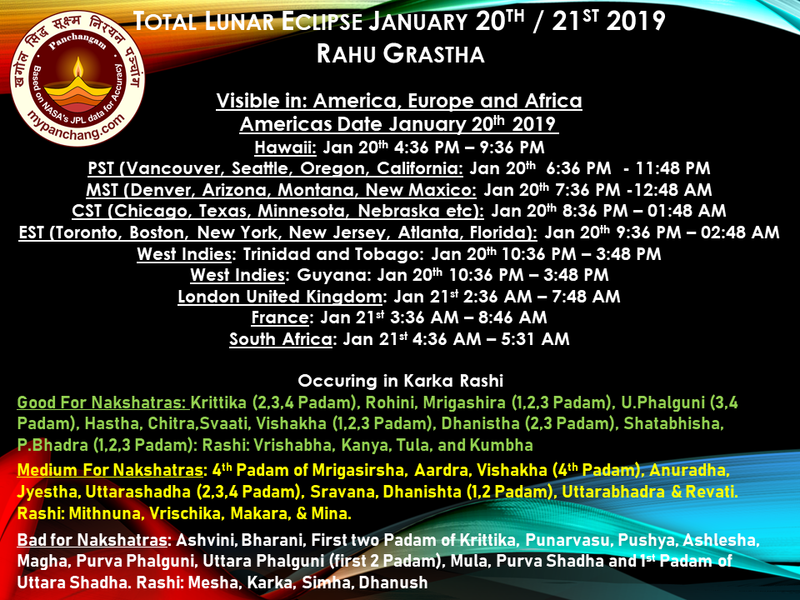 Total Lunar Eclipse 20th January 2019 (USA, Canada, West Indies), 21st January (Europe, Africa). Punyakala will be next day as the eclipse is occurring in the night. In Europe when eclipse is over. Donate to needy and poor people, charities, Ghee filled copper vessels etc.